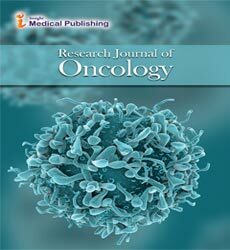 Research Journal of Oncology is an open access, peer reviewed online journal. The journal is focused on Specific areas like sarcoma, leukemia, melanoma, carcinoma, lymphoma, colorectal cancer, metastatic cancer, germ cell tumors & esophageal cancer etc. In short the journal covers all levels of studies including clinical and pharmacological studies during the development, phase studies and therapeutic improvement of different drug molecules.